Psychology is the science of the mind and human behaviour – that is to say, it seeks to understand, predict, and influence what human beings do. In the clinic (applied psychology) people come to us for help with what goes on in their conscious and subconscious experience (thoughts, feelings, memories, urges), and because they want to change what they are doing with their body (their habits). 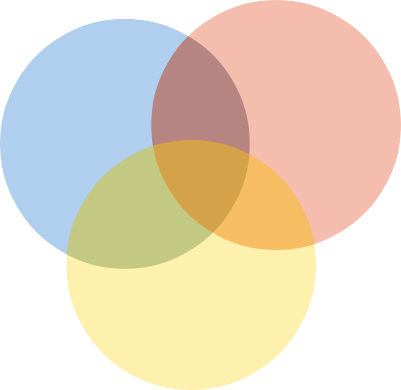 The approach we offer at Mindwise is transdiagnostic and contextual. What does this mean? A recent advance in psychology is the development of transdiagnostic approaches to understanding (and influencing) human behaviour. The older way (the medical model) is to make a checklist of symptoms, give it a name such as “depression”, “anxiety”, “substance abuse” (with added sub-types attempting to encompass the variability of human experience), and then try to find ways to treat each so-called condition. The medical model has not produced the hoped-for results however, for a number of reasons. For one thing, many of these “mental health conditions” co-exist: it is more usual than not, for example, for someone to struggle with anxiety, depression, AND addictive behaviour all at the same time, or perhaps different times during the year, week, or even hour. Rather than trying to treat clusters of symptoms, a transdiagnostic approach looks to understand/ influence the underlying (emotional and cognitive) processes that drive behaviours, perhaps seeing them in context (historical and situational). Another reason the medical model has not served us well is that the meaning of behaviour varies with its context. Depending on the place, time, circumstances, and past learning, our behaviour has different functions. For example, one person may go for a walk to get out of the house, another to increase fitness, another may be primarily caring for their dog. The same behaviour (the walk) fulfils different functions in these three cases. Now, suppose that our three imaginary friends all arrive home and go into the kitchen and pull food out of the fridge. The first seeks to eat in order to distract himself from a pressing task that he is putting off; the second is intent on following the health guidelines she has been given; and the third is feeding his beloved dog. Again, same action (taking food from fridge), different functions. If we listen carefully for the meanings that the actions hold for their actors, we might begin to see patterns that help us understand, and to work with the person to perhaps change some behaviour which isn’t what they would prefer to be doing. Note though, that we have not at any time made any judgments about “un/healthy behaviour”. How can we? It all depends on context! And one very important part of the context, as far as we are concerned, are the values of the individual: what matters to them. If our imaginary friend values caring for his dog, then the behaviours in our story are right on track. On the other hand, supposing she values being able to serve her community, but by putting off making a phone call which evokes nervous feelings, is side-stepping an opportunity to be involved – then this might well be something that she would like help to change. Drilling down a little further, our friend following the healthy guidelines may or may not have an easy time with sticking to them. For some people, following guidelines based in medical research will provide motivation; but for others, this won’t cut it: some folk tend to rebel or ignore or just not relate to such information. Family background, genetics, what has happened to us throughout our lives around rules, being told what to do, what sources of useful information have been in the past… all these can play significant roles in determining meanings in the context of our daily lived lives. At Mindwise we favour an approach to living known as Acceptance and Commitment Training – also known within a counselling context as Acceptance and Commitment Therapy – or ACT for short. (The acronym is pronounced “act” rather than the letters “A.C.T.” to emphasise the importance of action in building the lives we choose.) 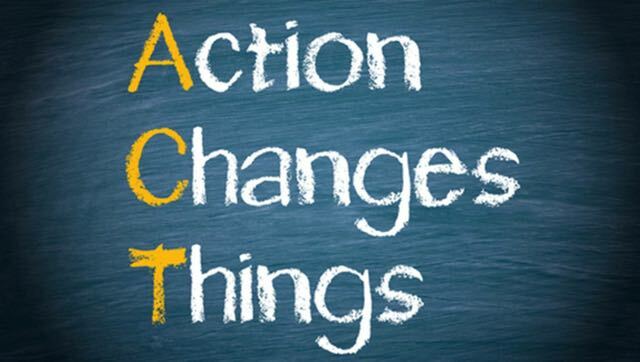 The main purpose of ACT is to relieve human suffering through helping clients live a vital, valued life. The possibility of being able to choose valued life directions is facilitated in ACT by developing skills in dealing with feelings and thoughts so that they don’t get in the way. These skills can also be seen in practices called ‘mindfulness’. Mindfulness is a way of letting unwanted thoughts and feelings do their thing with acceptance yet some detachment, rather than struggling to get away from them, fighting against them, or alternatively getting lost in or swamped by them. We use stories, jokes, experiential exercises, and logical paradox to get around the grip of the literality of our language-based minds and to produce more contact with the ongoing flow of experience in the moment. Research shows that it is a very effective method of dealing with many problems that people have that arise from within their own minds. Some problems in life arise from outside ourselves, and using ACT to be able to think about how to act to deal with those is also very useful because it turns out that it is often internal barriers that once again prevent us from seeing that we can do what we can do and how to do it (or alternatively accepting gracefully that we can’t do anything in some instances and then getting on with what we can do something about). Psychologists at Mindwise are able to draw on their knowledge of how the mind works (and where it gets hooked), using ACT and other functional contextual frameworks, to understand the system as a whole: whether the resulting behaviour is drinking too much, or avoiding social outings, or fighting with a spouse, the processes which drive the behaviour may well be similar – in which case, essentially the same skills can be learned and applied to change each of these three behavioural patterns, as well as many more. We human beings don’t come with a user manual for our minds, but we can develop one!